Teach your kids that making money and managing it are two very different skills. Just like offense and defense on the basketball court. 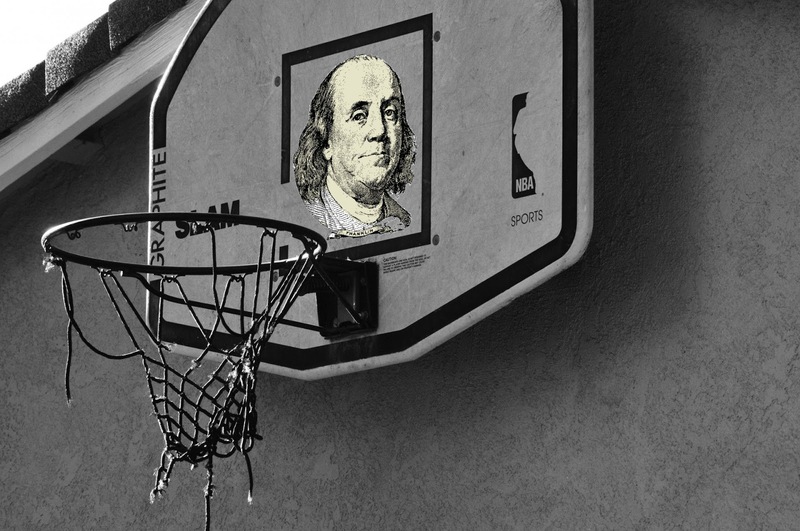 The stunning reversal-of-fortune stories profiled in today’s article serve as memorable cautionary tales from some of the highest paid NBA athletes of all time. The moral of each story: even the biggest salary can’t overcome bad money habits. Charles Barkley $40M A bad agent, compulsive gambling. Broke after 4th year in NBA. Lost as much as $10M gambling. Has rebounded financially since. Derek Coleman $91M Bad investments in Detroit. Filed for bankruptcy in 2010. Latrell Sprewell $100M Yacht, multiple million dollar homes. Yacht seized, homes foreclosed. Vin Baker $100M Bad investments, an entourage known to spend over $10K on a single meal, a pricey mansion. Went broke. Sought job as manager at Starbucks. Allen Iverson $200M Casinos, gratuitous bling, gated estate with gutters made of pure copper, credit cards, hand-outs. Told divorce judge in 2012 that he didn’t have enough money to afford a cheeseburger. Everybody needs to learn how to manage money wisely, regardless of income level. Without basic personal finance skills, even the largest fortune can evaporate. Coach your kids to play both ends of the financial court, or they’ll wind up on the bench.